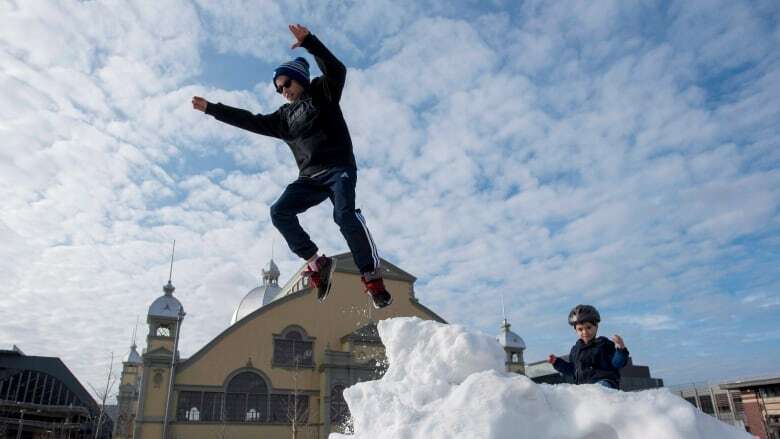 You may be tempted to let your kids play in it or steal a few buckets for your cooler — but some really nasty stuff is "lurking" in those snow piles outside skating rinks. Those giant piles of ice shavings outside local skating rinks may seem inviting on a warm, snow-barren day — but, in fact, they're full of nasty human excretions. 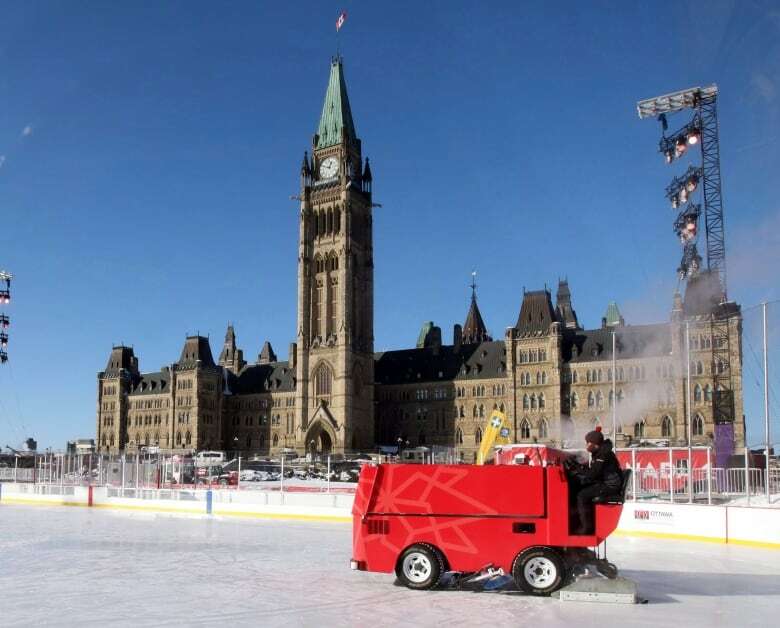 The leftover snow from Zambonis is a biohazard that may contain, among other things, human blood, saliva, mucus, bile, sweat, vomit and urine, says the Ontario Recreation Facilities Association. 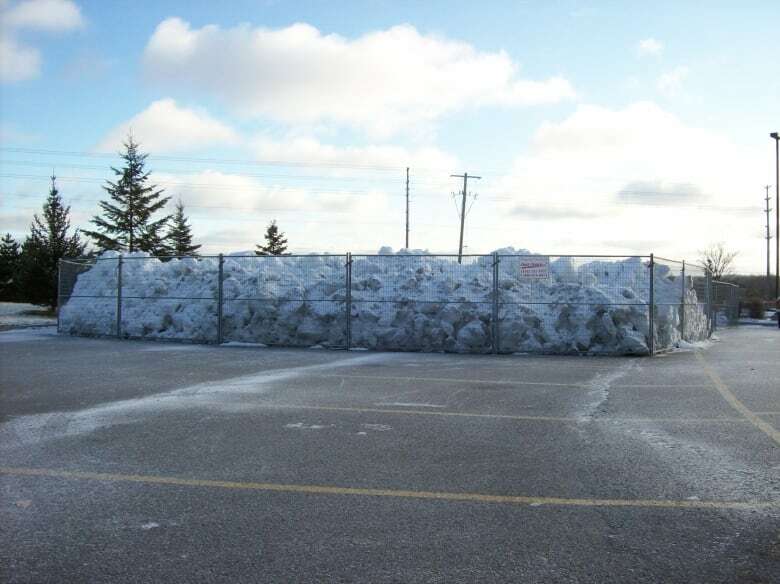 The non-profit network of recreation centres is asking its members across the province to put up fencing and warning signs near the piles, which folks have a tendancy to use for decorating, playing, or even cooling food. "We definitely want the general public to be aware of the potential hidden hazards that are inside these snow piles that are found at traditional ice rinks from coast to coast," Terry Piche, the association's technical director, told As It Happens host Carol Off. If you want to get an idea of what hazards lurk within those seemingly pristine snowbanks, Piche says you just need to think about what you might see on any given day at a skating rink or a hockey game. 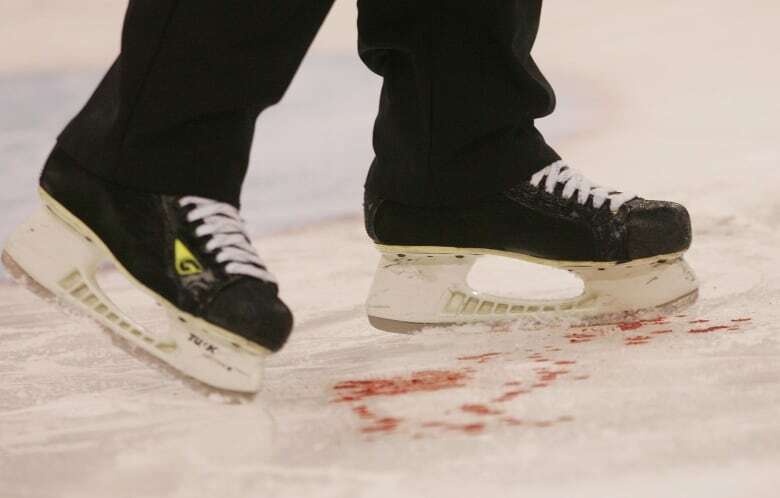 "What you end up seeing is players spitting on the ice, and then there's all kinds of things that go on behind the scenes — people will regurgitate and they will blow their nose," he said. Not to mention the blood from falls and hockey fights, or the grease and oil from the aging Zambonis. "And all these things end up out on the ice surface and we scrape them up with the ice resurfacer and they look like a nice great big snow cone, and we dump them outside and they become an attraction for people to come and play in." Sometimes, he said, people will even relieve themselves on the ice — whether intentionally or not. "You need to appreciate the antics of some people that go into sporting events," Piche said. "They will over overconsume liquids and then they will go on an ice surface and then they will get crushed into the boards and their bladders will relieve themselves. It's a little bit of a mess that occurs from time to time." Little kids are often unable to resist the lure of the giant Zamboni snowbanks, Piche said, sliding and digging and maybe even stuffing the shavings into their mouths. Teenagers sometimes use the dumped ice to build snow board ramps. And the group's press release describes people using the shavings to pack a "keg on ice." "We've had our members share stories where catering trucks, who are trying to save a couple of dollars, instead of buying crushed fresh ice, will actually go to the rink in the morning and collect it, put it in their trucks and actually put their sandwiches on it to display it," Piche said. "We've had minor hockey parents who would believe that they're doing something really nice by cutting up fresh fruit and spreading them along the top of these snow shavings to keep them nice and cool along with the sandwiches and the drinks." This past winter, he said, was particularly bad as unseasonably warm weather had folks longing for more a festive aesthetic. Piche said people have stolen the ice shavings to sprinkle around Christmas decorations on their lawns and front steps, or to make snow piles for their kids to play in. "I don't want to have a mass hysteria that there's a major problem with them," Piche said. "But you need to appreciate it would be the equivalent of letting a child play in a toilet." Written by Sheena Goodyear. Interview produced by Tracy Fuller.